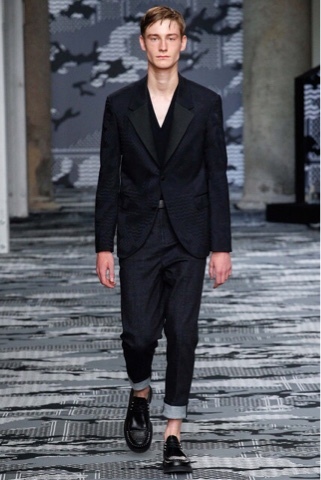 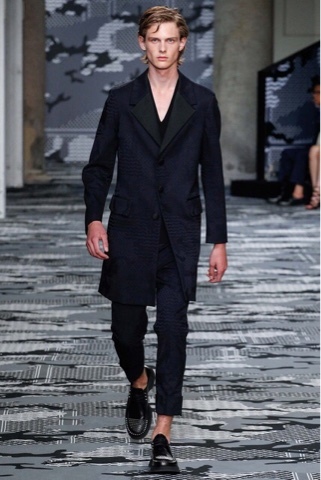 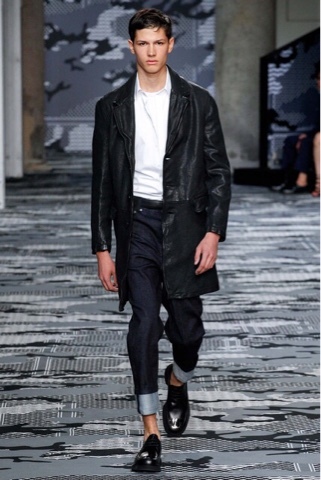 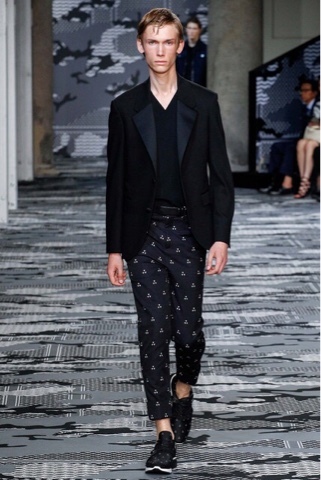 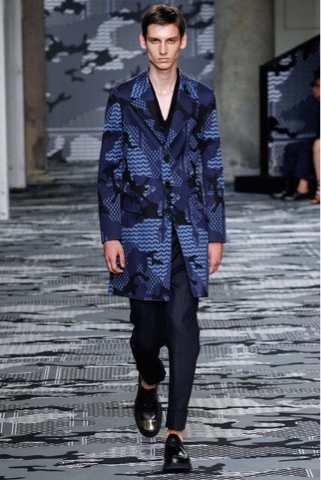 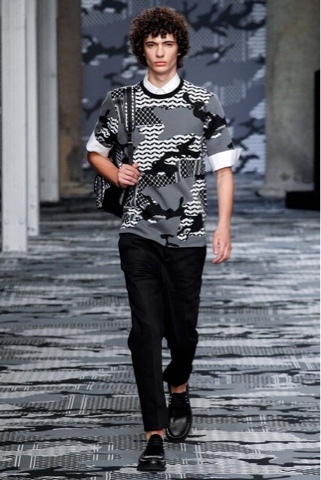 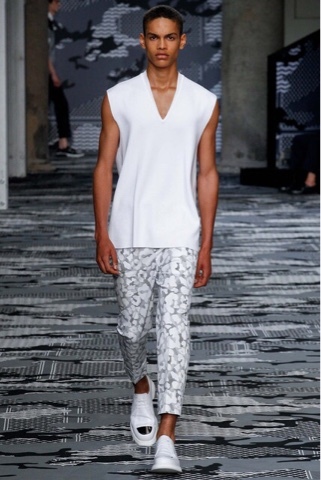 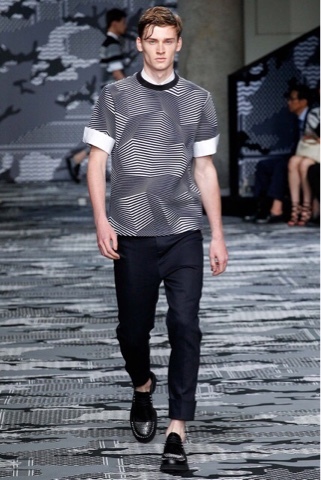 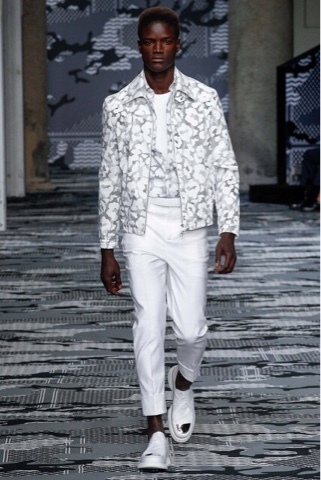 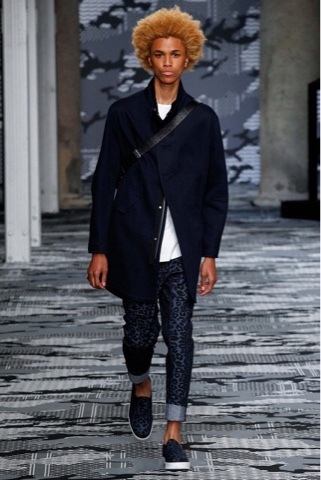 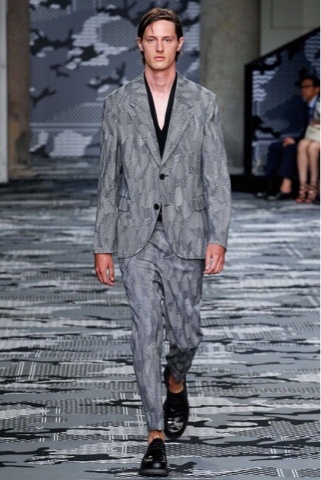 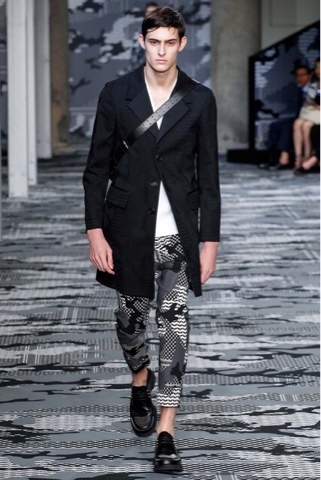 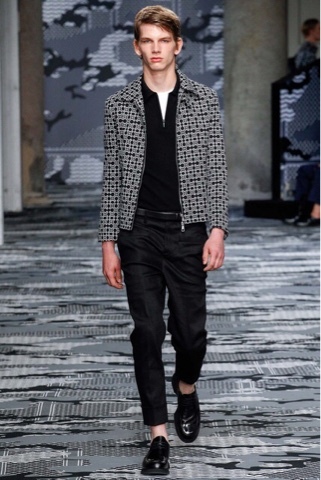 I've always liked Neil Barrett for his clean lines and cool prints. 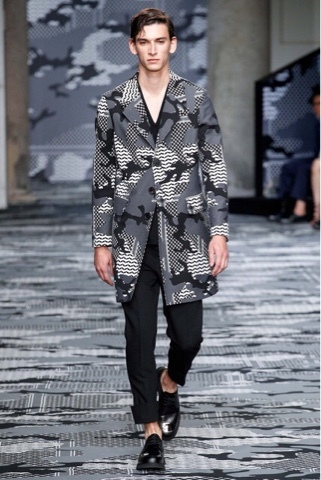 For this show he kept with that showing minimal looks with pops of reinterpreted Camo and leopard prints. 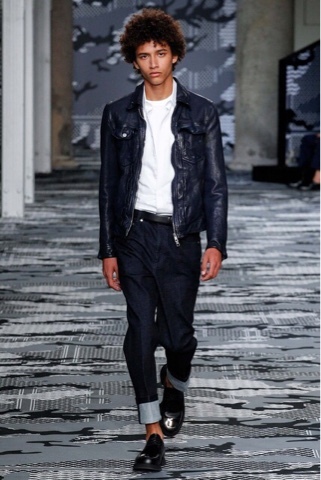 I like that clean look of a cuffed jean to show ankle and then have a printed tee or jacket on top. 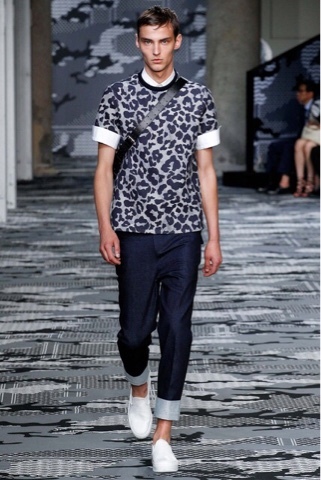 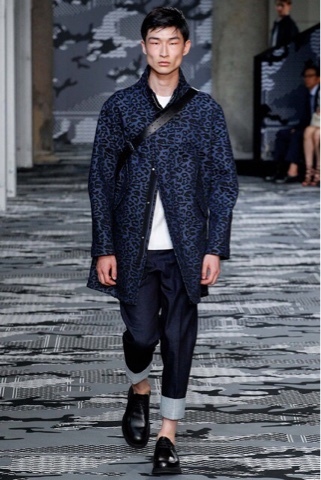 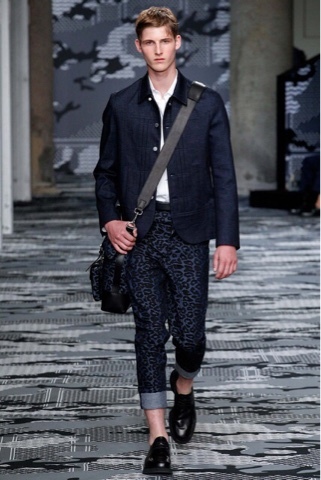 Coach also showed animal prints but Neil Barrett is doing it a little more subtle using tonal colors. 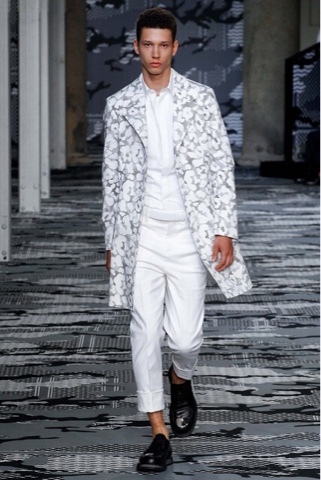 The shoes were a stand out for me as well as the top coats.